Haircut such as bobs, pixie cuts and shoulder-length can excellently frame your face, but the problem is when you want a new style and you have to grow out strands, the period of waiting is really not easy. We have great tips and tricks on how to grow out your strands so you don’t have to cross days off a calendar until you get a desired mane. 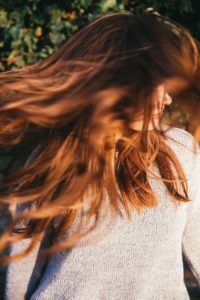 Here you can find more information on how to grow your tresses in the quickest way, without extensions. Dr. Gervaise says that it is crucial to not avoid yo-yo dieting and to keep your weight stabile, because extreme regime variation, levels of hormones and stress can affect your hair. It has been proven that heat can damage your strands, particularly when they are already weakened. Dr. Gervaise recommends that you shouldn’t use a curling want or flat iron more than three times a week. She also recommends limiting blow drying and sun exposure, because it can strip the strands. Dr. Gervaise says „You should apply a deep conditioner masque once a week to keep your hair healthy. “ Farel says that it is very important to choose your hair products wisely, because many of them contain the same stripping components as detergents. According to Farel „Arginine, phytantriol, biotin and fish oil help in the hormones and enzymes production, that can help to induce the growth of hair“. He recommends his top product line, Julien Farel Restore. This condition/treat/cleanse/ procedure will help you to shove regenerating anti-aging components deeper into the scalp, follicle and strands that helps extend the phase of hair growth. Dr. Gervaise also advise you to take supplements such as Viviscal, that contains Vitamin C, biotin and AminoMar (special complex of shark powder), to help in scalp stimulation and hair growth. Dr. Gervaise suggests deep-tissue massages once a week to relax your mind and body, because it has been proven that stress can affect your hair. She says that „When we are under stress, the adrenals pump more cortisol that causes inflammation of skin, acne, and potential hair disorders“.